The charter of the lab is to drive breakthrough robotics research to enable the next generation of robots that perform complex manipulation tasks to safely work alongside humans and transform industries such as manufacturing, logistics, healthcare, and more. Professor Dieter Fox says: “In the past, robotics research has focused on small, independent projects rather than fully integrated systems. Capgemini has released a study showing that battery capacity and availability of charging stations for electric cars are the two biggest concerns of U.S. consumers that might deter purchases. According to Capgemini’s Cars Online Trends Study, original equipment manufacturers (OEMs) and retailers must collaborate to address these and other concerns to meet governmental expectations, increase electric car sales and develop new services for consumers. “OEM investment in electric cars has led to exciting technological breakthroughs and the promise of reduced emissions, yet so far sales figures have been lower than initially predicted,” said Mathew Desmond, Principal Automotive Domain Specialist at Capgemini. Manufacturers generally must offer high-quality products at low prices in order to remain competitive. In a bid to provide the production technologies they will require, three Fraunhofer Institute teams are working together on what they say is “the next generation of industrial robots which will facilitate cost-effective production processes”. Groupe PSA and Inria are creating an OpenLab dedicated to artificial intelligence. The studied areas will include autonomous and intelligent vehicles, mobility services, manufacturing, design development tools, design, digital marketing as well as quality and finance. Carla Gohin, Groupe PSA’s Vice President for Research and Advanced Engineering, said: “Artificial intelligence will quickly become an efficiency factor for the group. The OpenLab will work on artificial intelligence algorithms enabling autonomous vehicles to drive in complex environments for example. 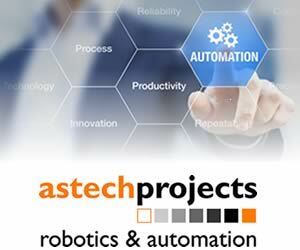 There seems to be an increasing number of reports about the robotics and automation market, each looking at different segments, often in a different way. It’s difficult to keep track of them all, let alone look too deeply into them and evaluate the data contained within. The definition of a robot is in flux, says Tractica in its introduction to its report, Robotics Market Forecast. 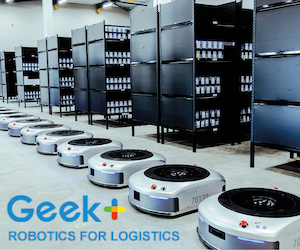 Traditional robot manufacturers that have been building and supplying robots for decades have seen this industry undergo a dramatic transformation in the past few years. The industrial automation and robotics markets is to grow at around 12 per cent a year to be worth almost $80 billion by 2022, according to a report by Markets and Markets, which produced the infographic below. Rolls-Royce is to open a new research and development centre in the US. The company formally received the keys to the 55,000-square-foot facility in the Purdue Research Park Aerospace District in West Lafayette. Purdue Research Foundation and Rolls-Royce are scheduled to celebrate the building’s opening late March.